MCX Stock Exchange has extended the subscription time for its nearly Rs 545-crore (Rs 5.45 billion) rights issue till April 17 as some banks are still awaiting regulatory and board approvals to participate in the offer. At present, about 80 per cent stake in the exchange is held by government-owned banks and financial institutions. 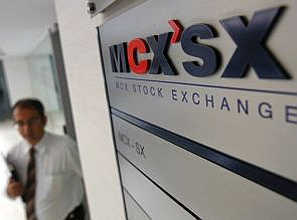 MCX-SX on Friday said the rights issue would now close on April 17. The rights issue has been extended at a time when the MCX-SX is under Central Bureau of Investigation's scanner for alleged irregularities in granting of licence to it in 2008 as well as subsequent renewals. On February 17, the exchange had announced the rights issue whereby existing stakeholders would get two shares for every one scrip held in the company. The issue size is Rs 544.69 crore (Rs 5.44 billion), with each scrip priced at Rs 5. "While shareholders see this as an opportunity to enhance their equity exposure in the exchange industry at a very attractive price, some banks have indicated the proposal is in advanced stages of clearances from their board and RBI and needed more time. "Hence, the exchange has agreed to extend the period of rights issue by another month. The issue will now close on April 17, 2014," MCX-SX said in a statement. According to the bourse, it 'has started receiving funds on account of the rights issue and confirmation of participation from several leading shareholding banks. "An exercise of a preferential allotment post the rights issue may be considered given the interest from new domestic and international investors," it added. Financial Technologies (India) Ltd, the flagship firm of the Shah-led group and MCX were among the original promoters of MCX-SX, the country's youngest exchange. Following a restructuring ordered by Sebi in the wake of the crisis at National Spot Exchange Ltd, FTIL and MCX were shifted to public shareholder category. Earlier this week, Sebi ruled that FTIL is not ‘fit and Proper’ to own stakes in any stock exchange and directed it to divest existing holdings in MCX-SX and four other entities. The exchange, last week, elected former LIC chief Thomas Mathew T as its chairman and Professor at Indira Gandhi Institute of Development Research Ashima Goyal as vice chairperson. Former Home Secretary G K Pillai resigned as chairman of MCX-SX on March 14, a day after CBI registered Preliminary Enquiry against former Sebi chief C B Bhave and former member K M Abraham and others with regard to alleged irregularities in granting licence to MCX-SX in 2008 and subsequent renewals. Image: The rights issue has been extended at a time when the MCX-SX is under Central Bureau of Investigation's scanner for alleged irregularities in granting of licence to it in 2008 as well as subsequent renewals.